This guide gives you steps to make an online appointment for Enrollment for Aadhaar Card. 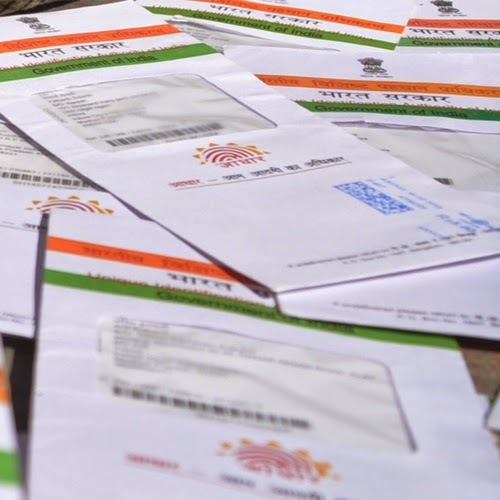 the Aadhaar programme online. This is not a way to apply for Aadhaar Card online, but to make an appointment so that you can get your biometrics done without the hassle of getting in line. Keep in mind that this services is applicable to select centres only, so check whether it is available for your centre. 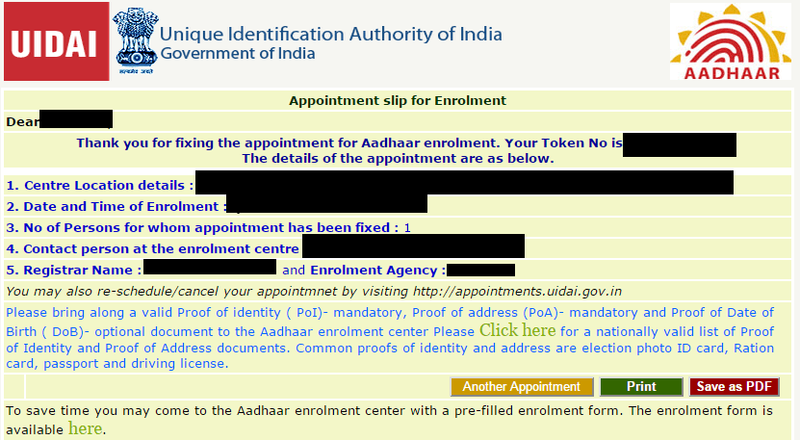 Go to the Aadhaar Online Appointment website located here. Fill in all the mentioned details including the number of people who would be present for the appointment (Maximum No of people is 4 per appointment). Also select the time and date you would like to set an appointment for. After clicking on 'Fix Appointment', you will be redirected to a new page that shows your unique token ID along with the details you have entered. It is advised that you save this for further reference and status checks. You can 'Print' or 'Save as PDF'. We prefer the 'Save as PDF' option as it will provide more flexibility. Enter your token ID and the provided Mobile no. Select either 'Re-schedule' or 'Cancel Appointment' depending on what you have to do. Leave all questions/queries in the comments section.